Tomorrow, on the 11th day of the 11th month, at 11 a.m., exactly one hundred years ago, the guns on the Western Front fell silent for the first time in four years. 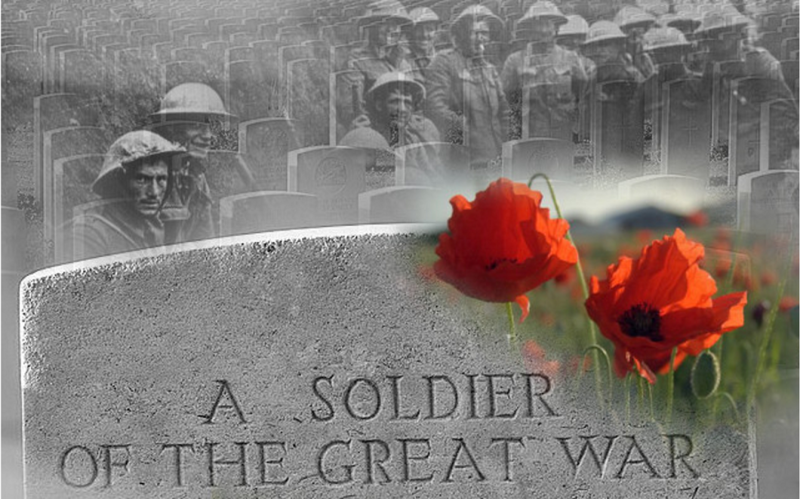 The bells tolled around the world in joy for the end of the Great War, and in mourning for the millions dead. It is interesting that the 100th anniversary of the Armistice that ended World War I falls on the same day this year as our Veterans&apos; Day. Many might think that recognizing veterans is a perfect thing to do on Armistice Day, but the last living WWI veteran died in 2012 at age 110. While many confuse Veterans&apos; Day with Memorial Day, the celebration of Veterans&apos; Day is really only for living veterans, while the May celebration of Memorial Day is for all those who have died in service to the country. They are separate remembrances. However, it is important to celebrate both Veterans&apos; Day and Armistice Day. We should recognize our veterans, and congratulate all those who have served, which is only 7% of the American population. As an Army brat who grew up overseas on both an Army base and an Air Force base, I would love to see that number go higher. I feel that if more Americans served, more would be aware of the needs of those who serve. More people would appreciate the sacrifices made by military members. I would love to see more love directed to our men and women worldwide who are away from their families, who stand between us and the forces of darkness. At the same time, we need to remember 1918. The world was embroiled in the first truly global war, and over 17 million, civilians and military, lost their lives in this brutal conflict. WWI has many lessons for us to learn, one of which is what happens when military command maintains old strategies while new technologies have developed. This can easily be seen in WWI through the tendency of generals to order their troops to run across no-man&apos;s-land in straight lines, directly at the machine guns operated by the enemy in front of them. Masses of bodies littered the damaged ground between the armies. While no one is ordering infantry to run toward machine guns in straight lines, war is still a terrible thing, and we still often lose soldiers in warfare. That&apos;s one reason we should be so thankful to those who volunteer to serve today. They continue to face the dangers so that we can live safely here at home. You can&apos;t thank a WWI veteran, but you can remember. At 11 a.m. tomorrow morning, bow your head and take a minute to pray for all those who have served. Thank God for your life, blessed by birth, and ask Him to watch over all those who are currently in uniform and in harm&apos;s way. Later in the day, if you see a veteran from any more recent conflict, sometimes identifiable by the hats now fashionable to wear indicating one&apos;s branch and war, thank them for their service. Thank them for the life you get to live in safety, and thank them for the world we still have. If you feel the urge, buy them a cup of coffee or a meal, and listen to the tales they have to tell.